Hello Friends! It's Rachel here with this week's Tuesday Tips and Tricks! So excited to share with you today one of my favorite iCopic products... Divine Twine! The name could not be more perfect to describe this fabulous product. It has many basic uses for hanging tags, tying up packages and stitching, but today's card focuses on it's most fun use as an embellishment. I started off my card by using the super sweet Sew Lovely set by Lawn Fawn. I stamped out 3 spool images onto Kraft cardstock, cut out each image and wrapped Cotton Candy Divine Twine around each spool. Just adding the twine makes the spools really pop! It's such an easy embellishment to add to your cards, but this simple embellishment can easily be transformed into a gift. Did you know that by simply loading up a cut out Kraft cardstock spool with twine you can create a cute and simple gift for your crafty friends? What a fun little surprise to gift a collection of the 11 lovely colors of Divine Twine available at iCopic on these adorable kraft cardstock spools to a friend. Each roll of Divine Twine contains 240 yards of twine, so now with the holidays approaching you could easily prepare several gifts of mini stockings or clear bags filled with cardstock spools of twine. Hope you enjoyed this week's Tuesday Tips and Tricks! There are so many uses for Divine Twine and I know you will love having & sharing this DIVINE product. Thanks for visiting and Have a Divine Day! 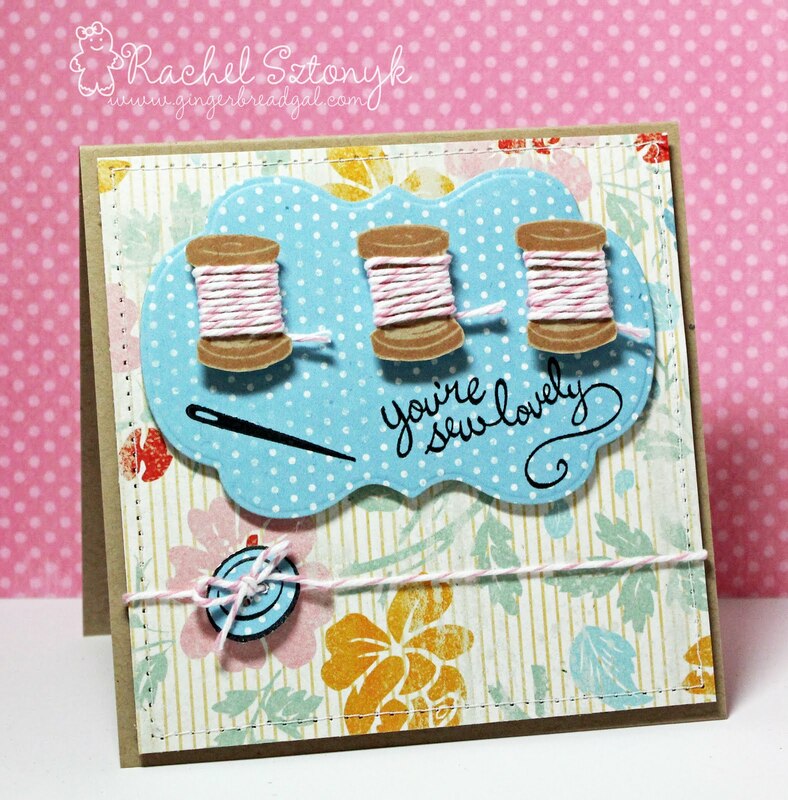 Oh this is really pretty - love those spools with the twine and your sentiment too!